Jordan Brand is keeping up the pace with their releases. This year has been great if you're a fan of Jordan Brand. Jumpman has been releasing some incredible shoes this year and it looks as though even more great releases are on the horizon. From retros to brand new colorways, it looks as though Jordan Brand is making sure they have you covered this year. It may hurt your wallet a bit but considering the heat that is making its way to the shelves, it's well worth it. One of the releases that has been hyped up is finally hitting the market and that shoe is the Air Jordan 13 "Atmosphere Grey." As the name suggests, the sneaker features a dark grey leather upper with white on the tongue and the toe box. Silver accents can be found on the midsole, offering a space-like aesthetic. It's one of the cleaner Air Jordan 13 colorways to come out as of late and is a great change of pace from all of the Jordan 1's we've been seeing. 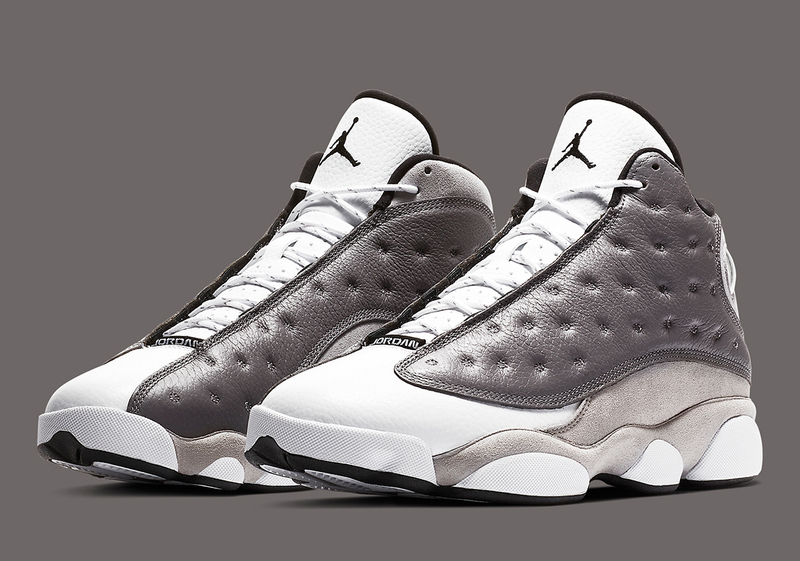 According to Sneaker News, the Jordan 13 "Atmosphere Grey" will be released on Saturday, March 23rd for $190 USD. If you're looking to cop, it looks as though the Nike SNKRS app and Finish Line will be your best options.